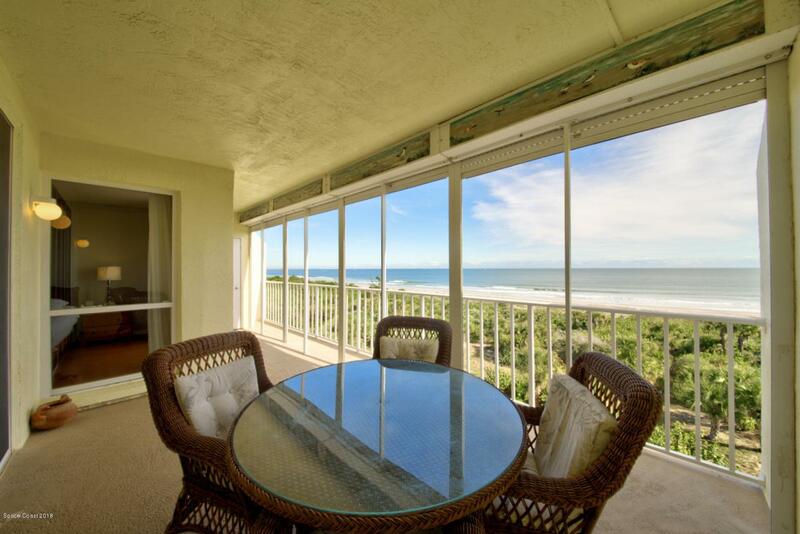 Ocean front penthouse positioned in the exclusive Ocean Oaks Beachside Condominium complex, just north of the Cocoa Beach Pier. The Open floor plan allows for easy entertaining & fabulous view of the ocean from the moment you enter the front door, the view continues throughout the kitchen, living room, and the master bedroom. 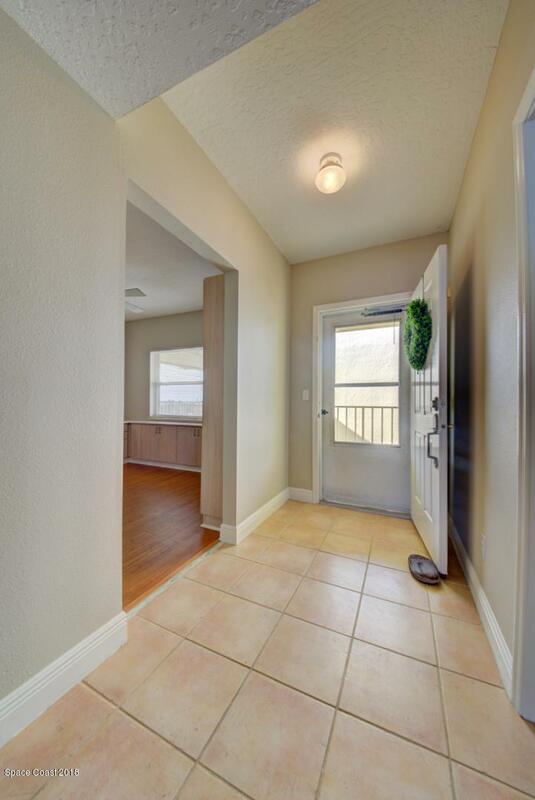 This lovely 2 bedrooms 2 baths penthouse includes; a remodeled Master Bathroom w/ upgraded tile, frameless glass door, & a separate Jacuzzi, an Office w/ built in cabinets or if need to be can become a third guest bedroom, a large Laundry room w/ washer & Dryer, a Brand New AC unit, an updated open kitchen w/ Stainless Steel Appliances, wood cabinets & granite counter tops, and a 1 1/2 car garage w/ pedestrian door & electric garage door opener underneath the buildingYou can feel safe high above the ocean in this cement structure w/ electric remote controlled Hurricane shutters. Some of the amenities this luxuries condominium provides are: a sauna room, a gym, paver pool deck, car wash, a tennis court, and a cover open parking. 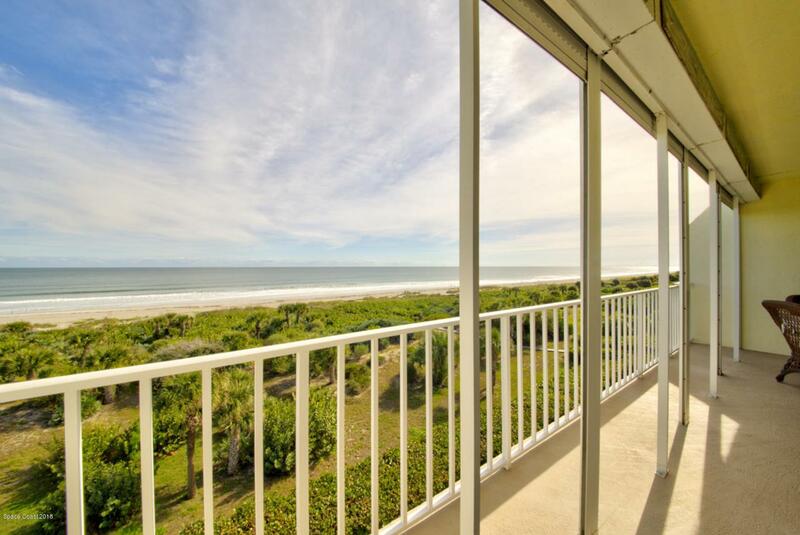 Its perfect location allows you to stroll to Jetty Park and watch submarines sneak in, or cruise ships set sail! Bike to the Port Canaveral cove for an amazing dinner, or take a walk on our World class beaches! 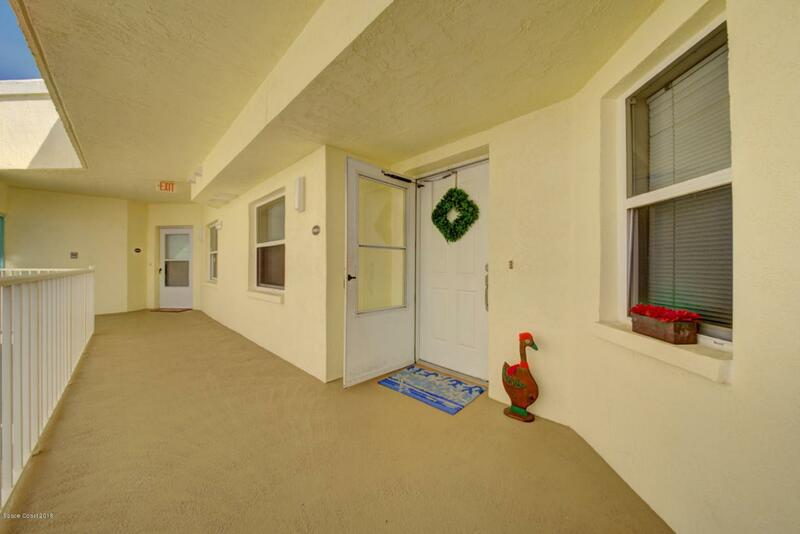 Your guests will love how close you are to the airport. Schedule your private showing now and you could be the next owner!